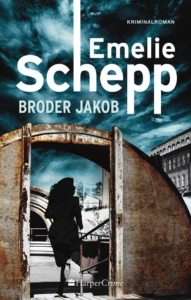 Emelie Schepp is back with a new book about her enigmatic and unforgettable main character Jana Berzelius. The 5th book is called ‘Are you sleeping’ and this crime novel is about being forced to meet your own violent past. About family, relationships and reconciliation. You can still order your own signed copy here! If you want to get the chance to meet Emelie, she is going on an extensive book tour in Sweden for the coming two weeks! See here schedule to find a date and place that suits you. 21/3, 17.30-18.30: Mingel, interview, signing at Adlibris, Kungsgatan, Stockholm, drop-in. 23/3, 10.00-15.00: Bookparty, cake, signing at Ica Maxi/Ingelsta, Norrköping. 26/3, 15.00-16.30 at ICA Kvantum Klockaretorpet, Norrköping. 27/3, 19.00-21.00 at Akademibokhandeln, Storgatan, Linköping, kundkväll, no need to pre-register. 4/4, 17.00-19.00 at Akademibokhandeln, Motala. More signings are to come..